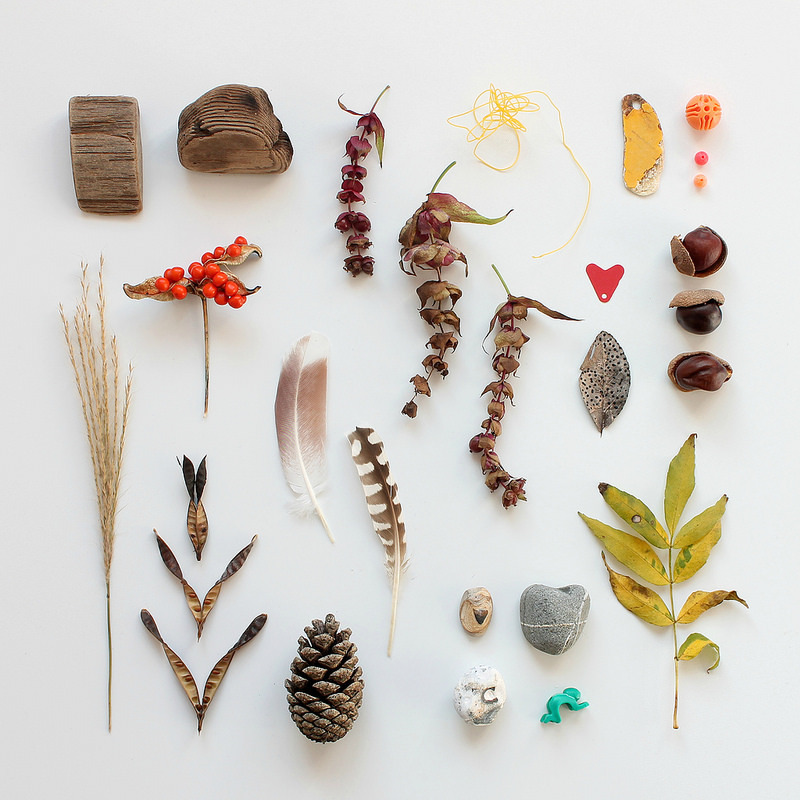 Our collected treasures from the last few weeks or so - driftwood, fishing wire and beads, feathers, seedpods, a fir cone, conkers, special stones and a spotty leaf. There were far less beach treasures on our windowsill than previous months, opting for walks in the park to collect leaves and feed the squirrels instead. The leafs, so bright when we first collected them, had mostly faded. Not nearly as impressive as when we brought them home. A couple of you mentioned in my leaf crown post about dipping them in wax to preserve the colours, so maybe we'll try that next time. The seed pods were closed when we had collected them, and then opened in the kitchen, sending the little seeds everywhere. And I love the little green man Elizabeth found at the beach this week, I've no idea what its from though! I'm going to start calling these posts 'collected treasures' rather than just 'collections' and have started using #collected_treasures on Instagram. As always, please feel free to join in and show your collected treasures too, I love to see them! You can see my previous posts here, and my ongoing 'collections' Inspiration board here. Already its lovely to look back on them, each item reminding me of certain days out or adventures had. Special gifts from the kids that would otherwise be forgotten. I might have to make them in to a calendar when I've done a few more, I love the idea of looking back on each month throughout the year. And you photograph them so well ~ they would make great images for your wall. I too wonder where that little green man might be coming from.. I think a collections calendar is a fab idea! Funnily enough my eye was drawn to the blue baby! Lovely collection, as always. Oh and blue glass on Porthmeor today. Hooray!! 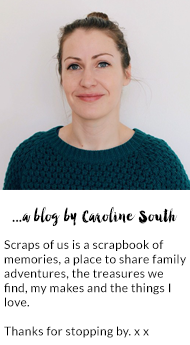 Just catching up on my blog reading after a busy few weeks... I do like your treasures and compositions. And I also like those painted pebbles. I'm a collector of little things from our walks too and it kills me that our current house doesn't have a mantelpiece to display them on!